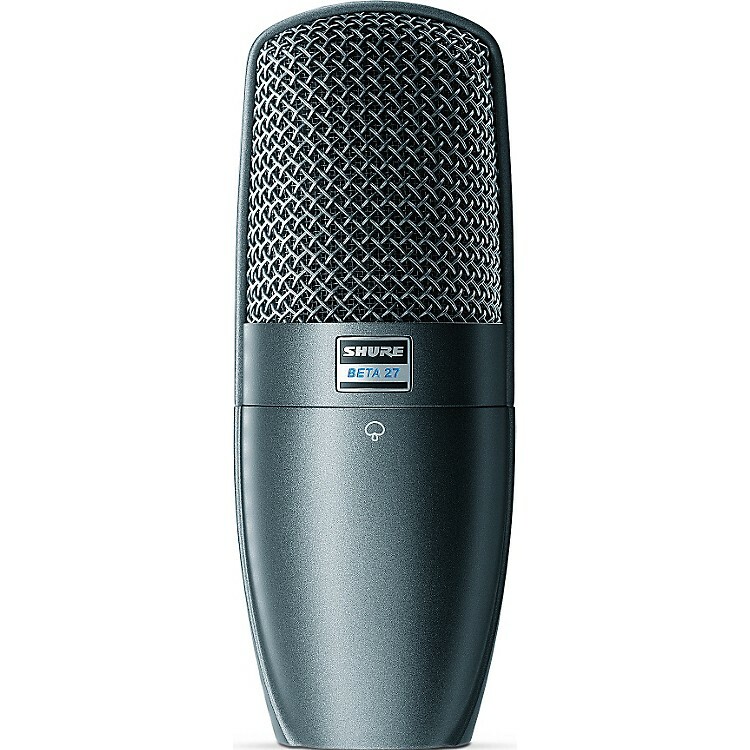 A large diaphragm supercardioid condenser mic that greatly minimizes bleed from off-axis sound sources. The Beta 27 side-address condenser microphone is precision engineered for professional sound reinforcement and project studio recording applications. Its flat frequency response and low self-noise provide unerring performance in demanding environments whether they are on stage or studio. A tight supercardioid pattern and 3-position switchable low-frequency filter help reduce unwanted background noise, counteract proximity effect for consistent, extended low-end, and give you high gain-before-feedback. It's tailored for superior transient response thanks to its low-mass, 1" externally-biased, ultra-thin, 24-Karat gold-layered Mylar diaphragm. With the Beta 27 you can be sure you'll capture the sounds you want, not the noises you don't. Order now!